Dear english community. 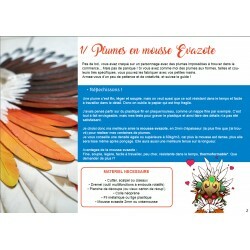 This Tuto-Book is not available in english yet. But if you are interested by a translated version, please send me a message. The translation will require a lot of work, so I can do it only if many of you are waiting for it. 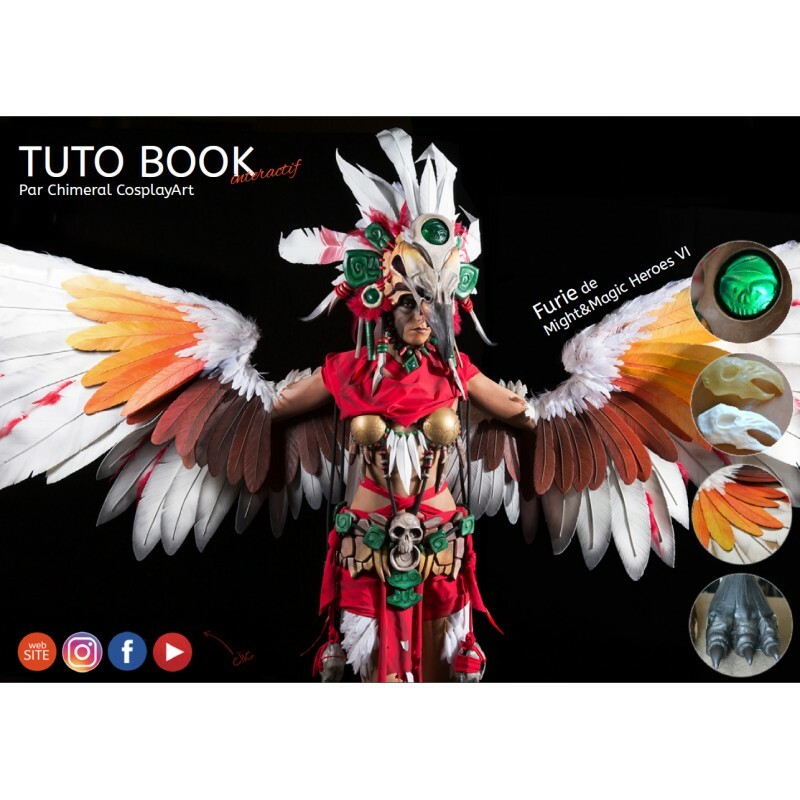 This interactive TUTO-BOOK (PDF) is a grouping of cosplay tutorials, WIP pictures, video and tips, about the making of my harpie cosplay Fury. 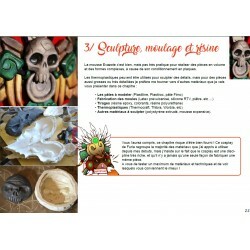 It teachnes you the different technics used, and explains step by step how to make foam feathers, wings, molding, to use thermoplastics, airbrush, etc. ©Chimeral CosplayArt : It is forbidden to spread or to distribute for free this Tuto-book. Thank you for redirecting the people interested by it, on this shop. This Tuto-Book of 72 pages is in interactive digital version (it contains exclusive videos, clickable links and interactive navigation menu). 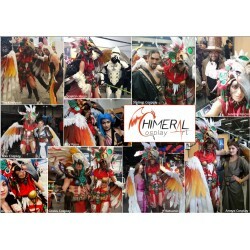 - And a few bonus add: final photos, memories and final of the French Cosplay Cup stories. Based on the making of my harpy cosplay (Fury from the game Might&Magic Heroes VI) this TUTO-BOOK is not only a on how to make her, but rather a grouping of cosplay tutorials on every specificity of the making of Fury. 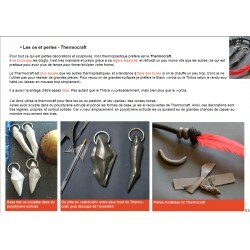 The given informations in the Tuto-Book are general and easily adaptable to your other cosplay projects.